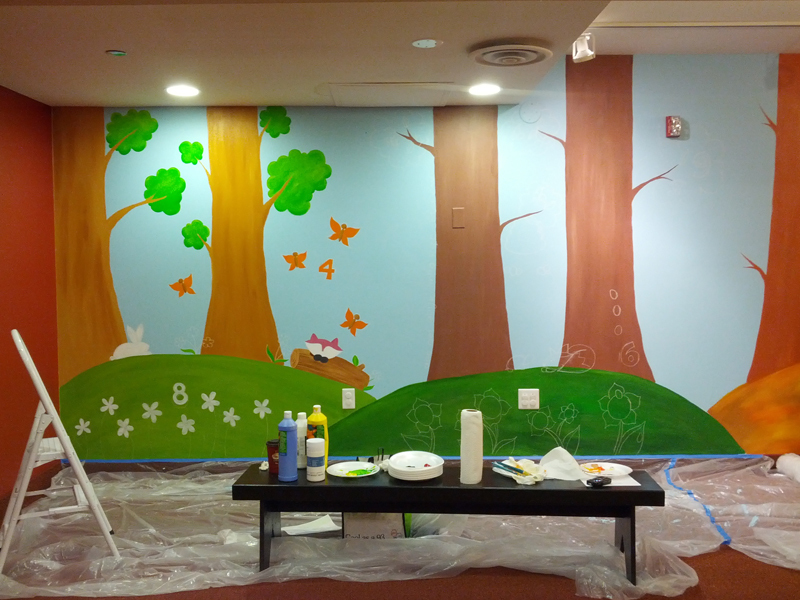 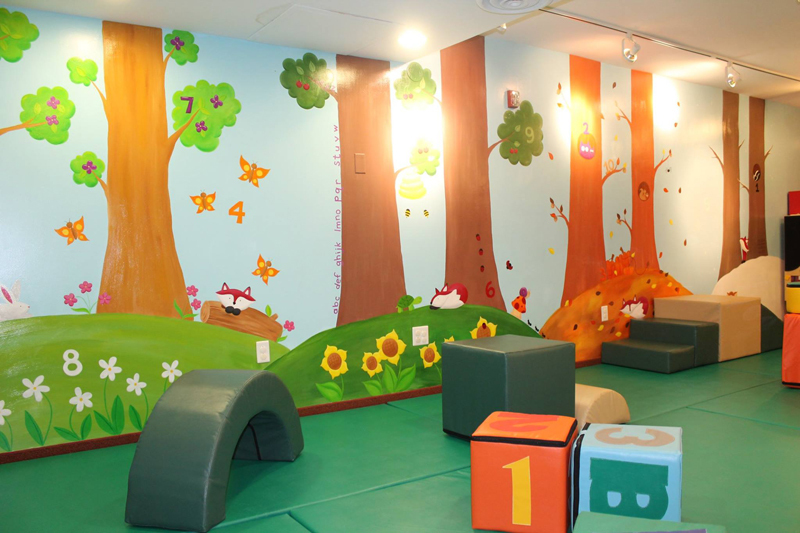 During the summer and fall of 2014, I was commissioned to paint a 24′ mural of the four seasons on the Creativity Floor of the Experience Children’s Museum of Erie, PA. 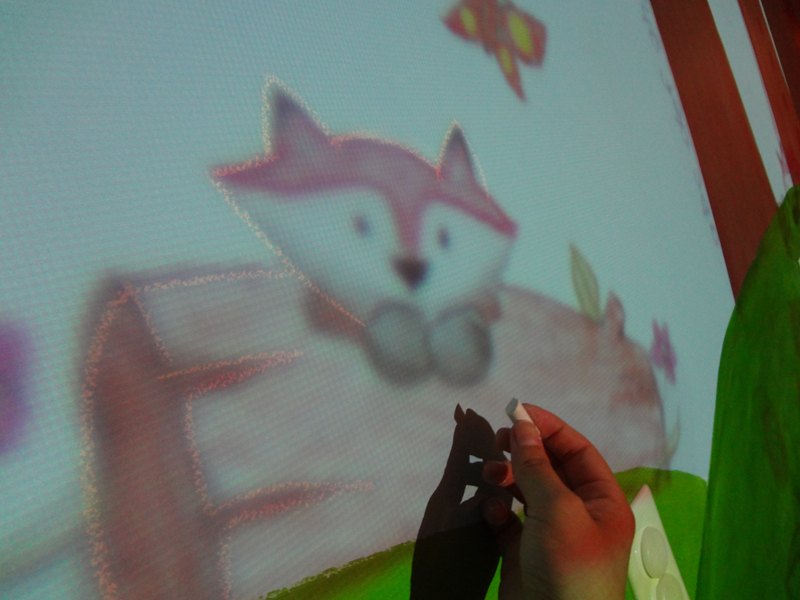 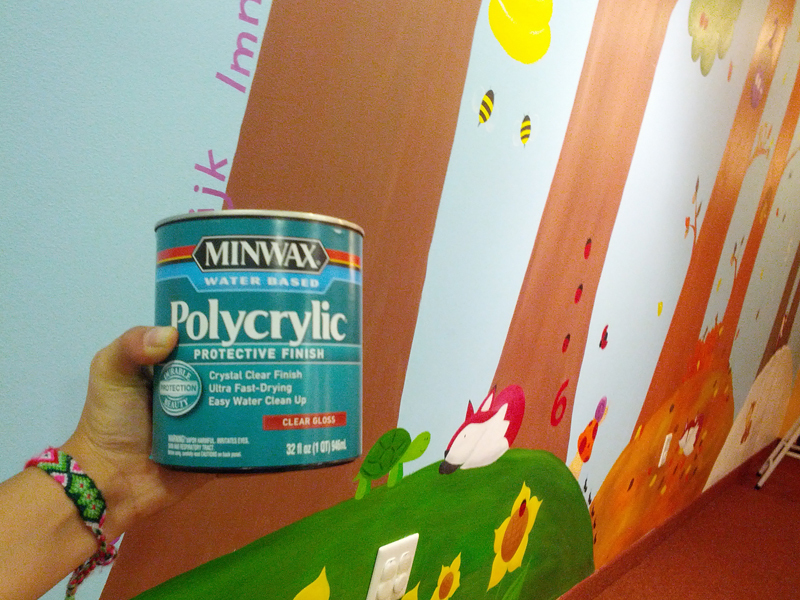 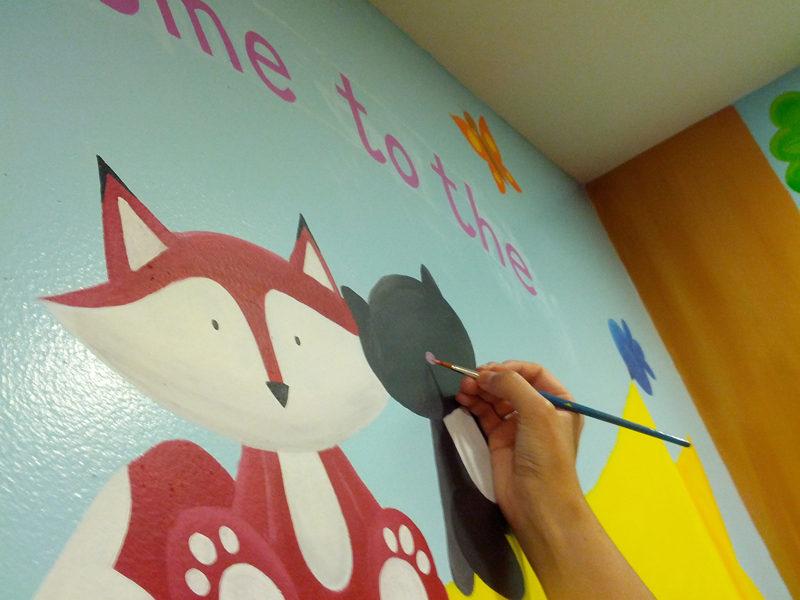 The mural was to be colorful and fun while also having some educational elements. 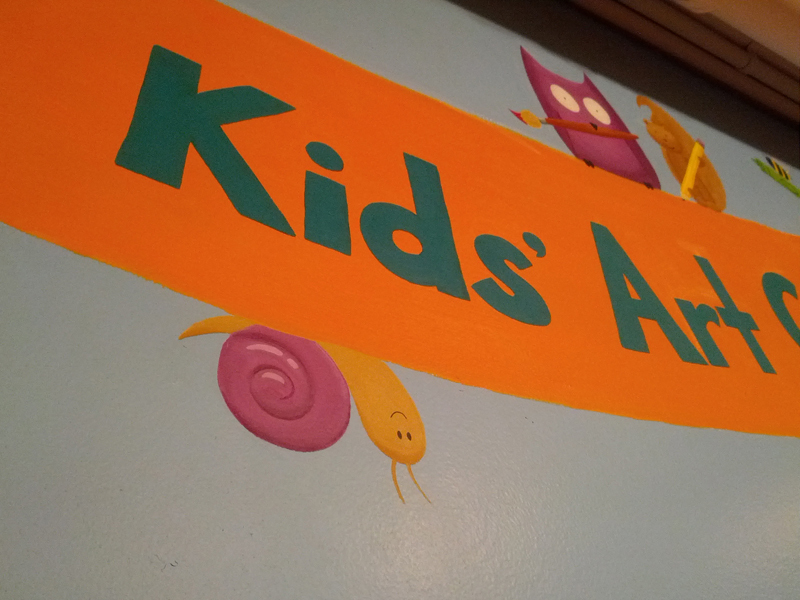 I had a great time working with Ainslie and Tami from the Children’s Museum on this project. 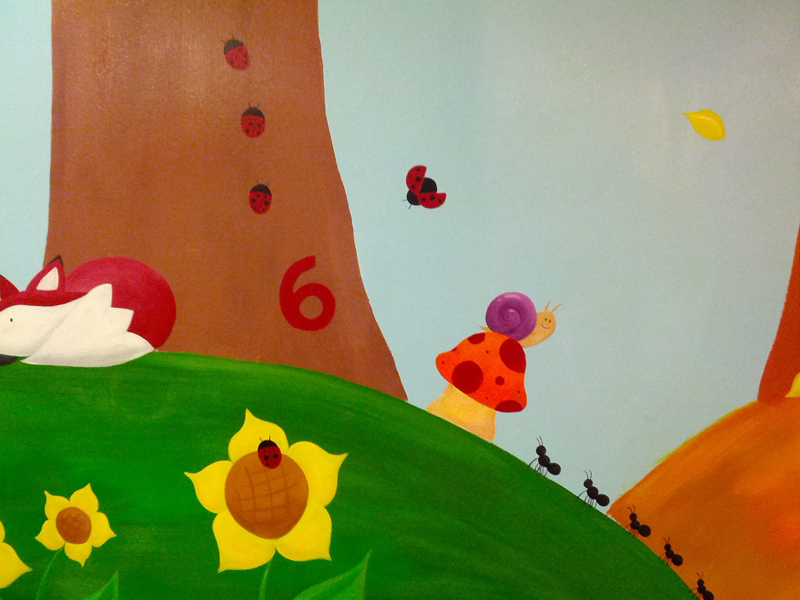 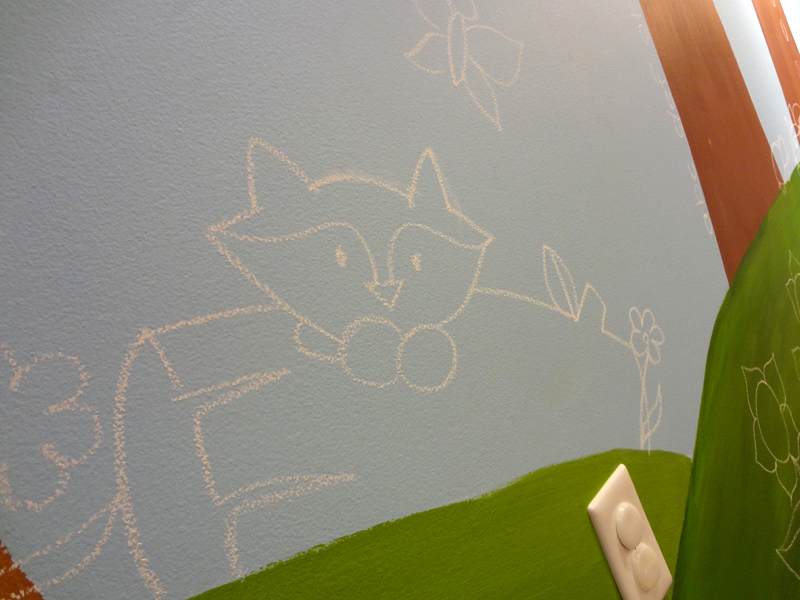 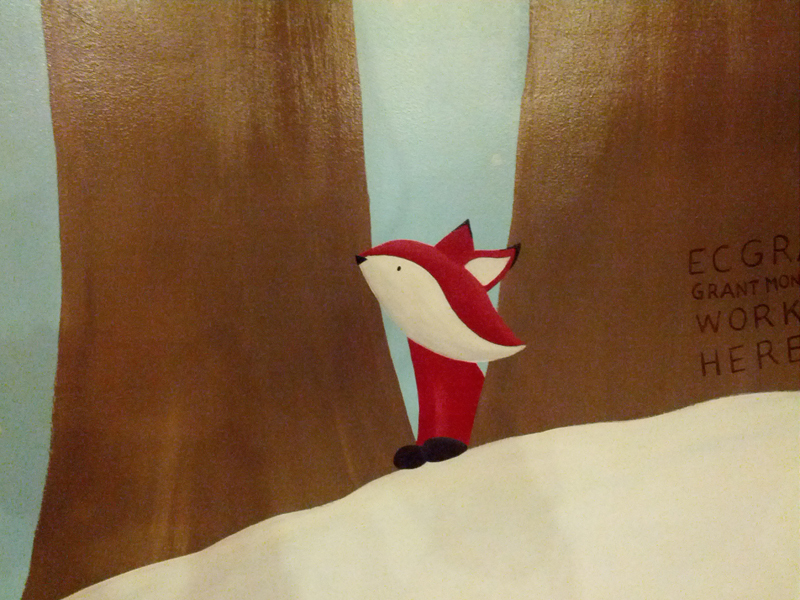 Tami, the director of Children’s Education at the museum, had the idea of incorporating counting into the mural. 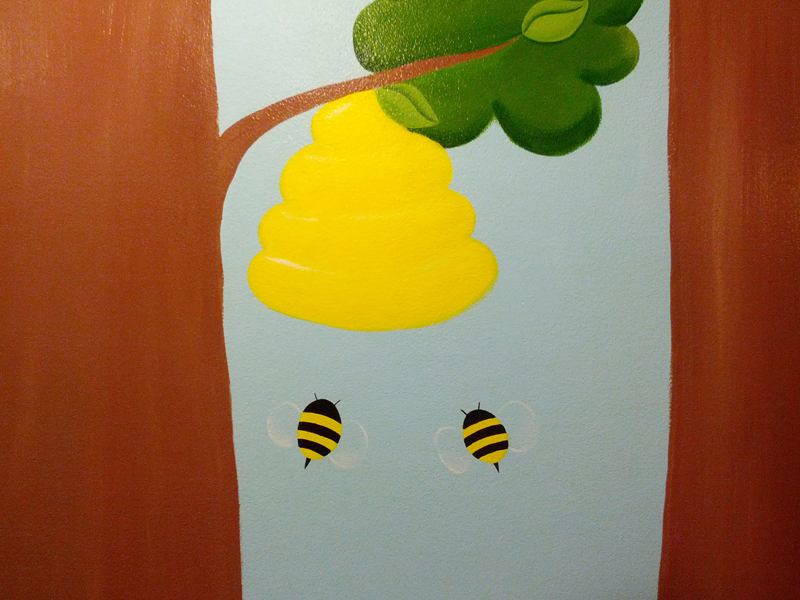 I included the numbers 1-10, with a critter or plant to count for each number (e.g., 4 butterflies, 2 owls, 10 acorns, etc). 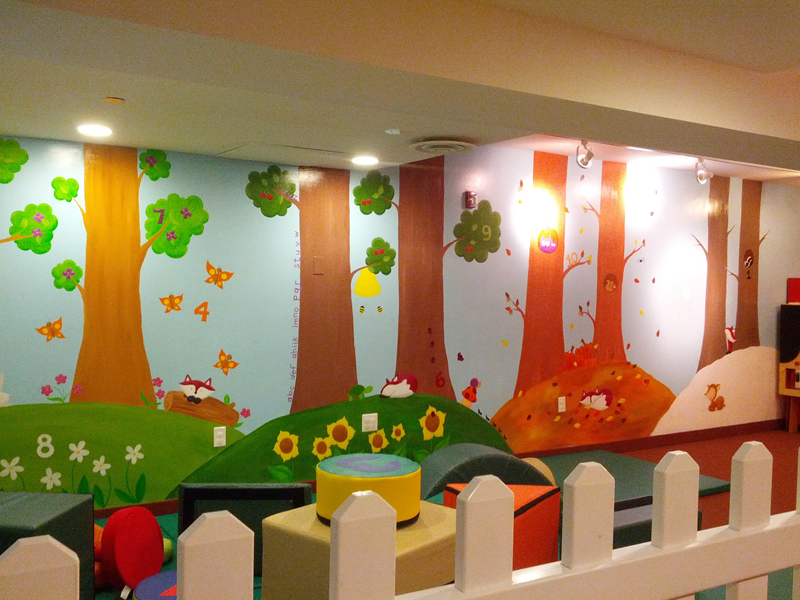 Also, the letters of the alphabet are featured climbing up the tree in the summer season. 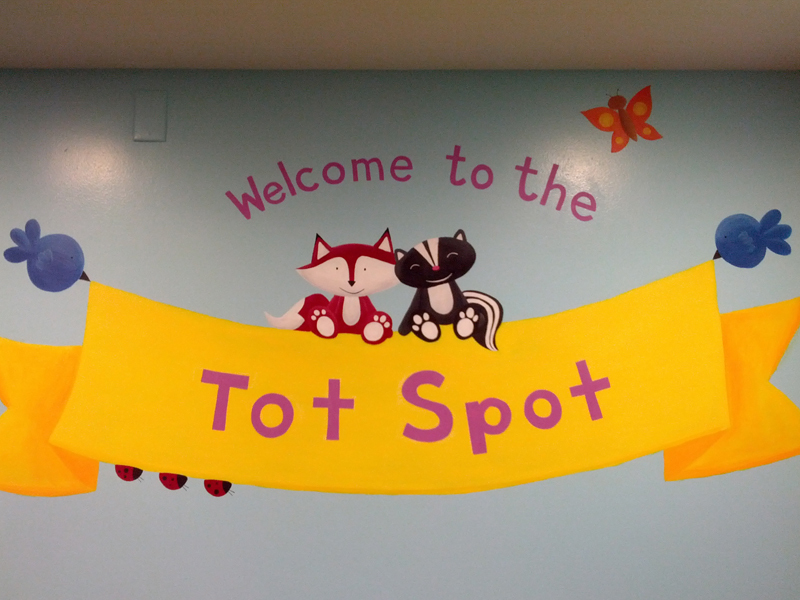 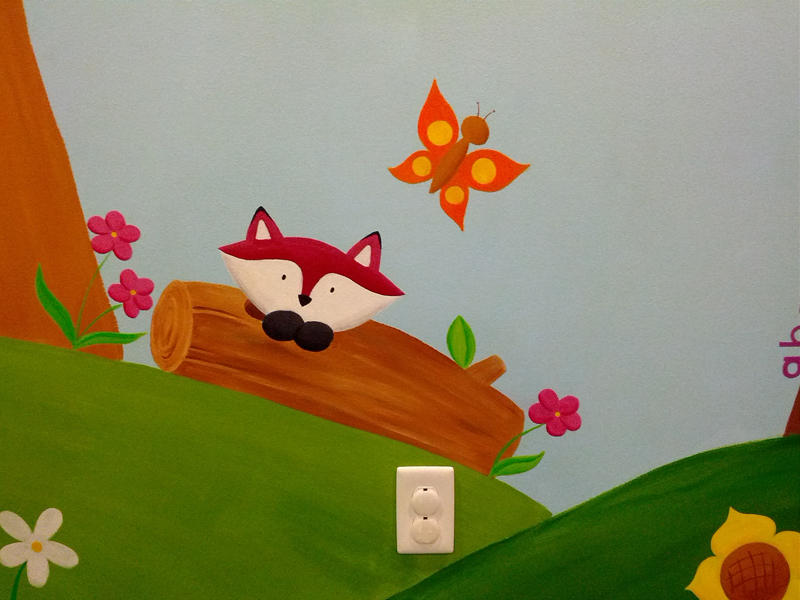 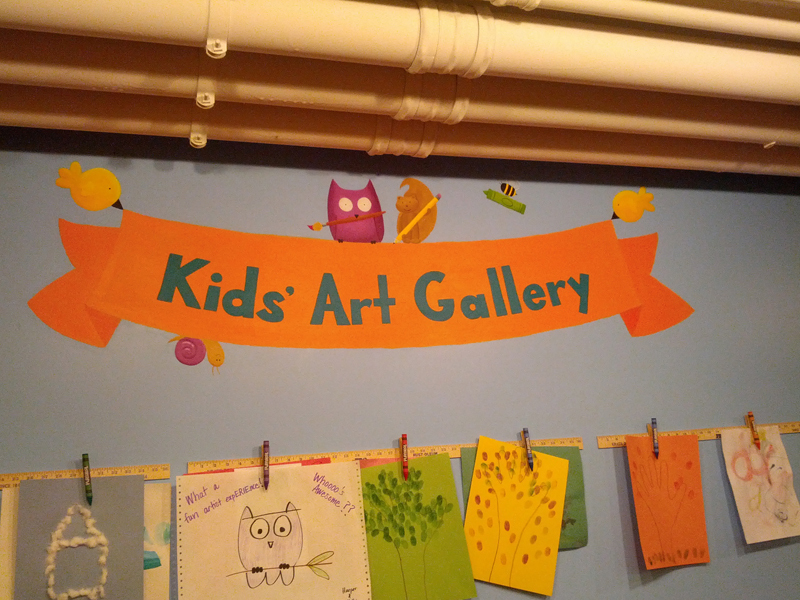 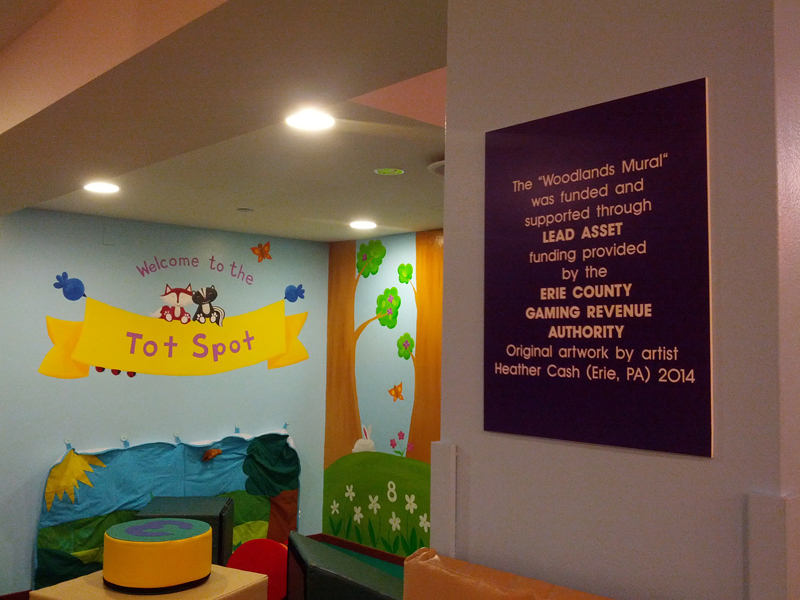 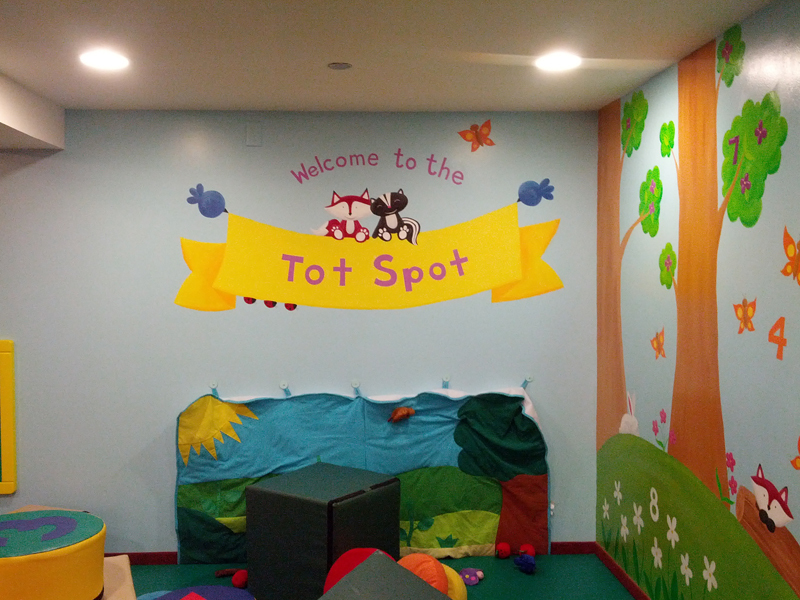 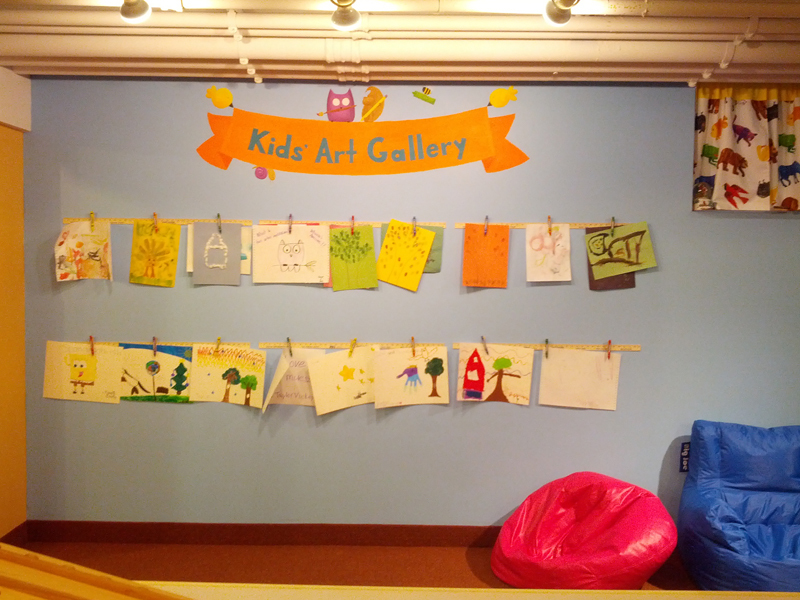 In addition to the Four Seasons mural, I also painted a “Tot Spot” forest animal banner, a “Kids’ Art Gallery” forest animal banner (where the kids can hang up their artwork), and a wall of the “Open Studio” where kids have the option to create their own art. 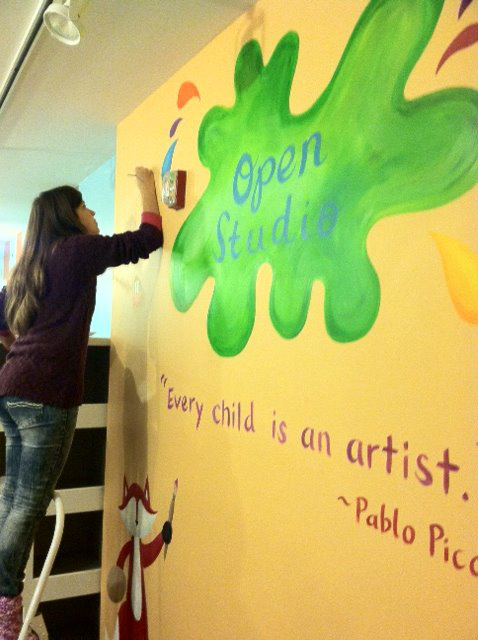 I also digitally created 3 posters for the Open Studio – Colors in Nature, How to Draw Animals, and Creative Tools. 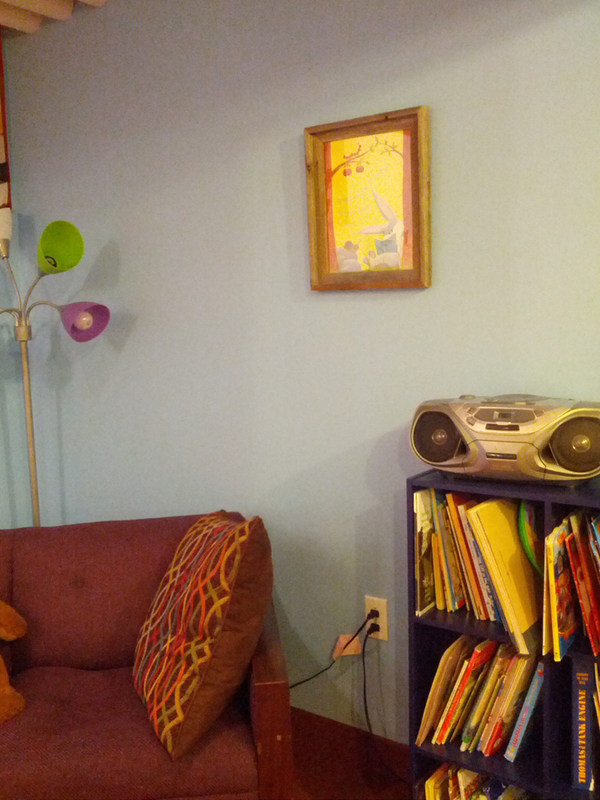 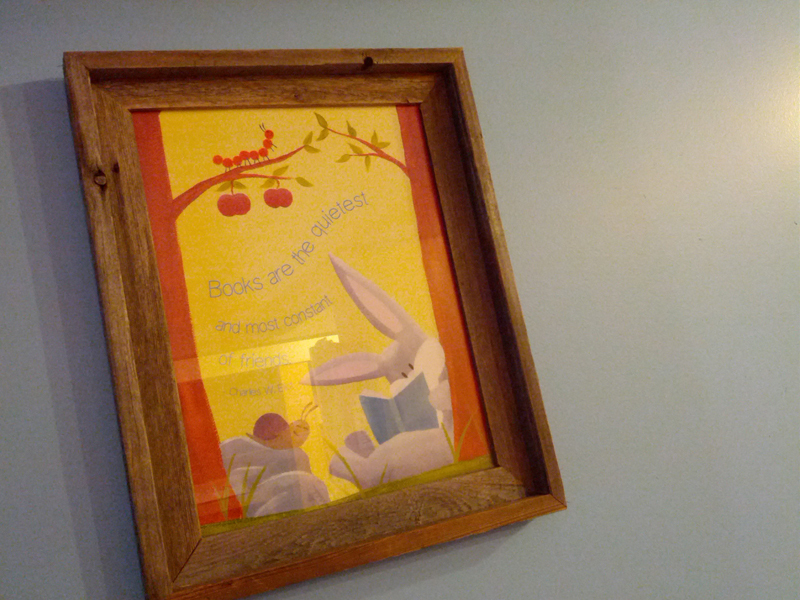 You can also find my framed “Reading Bunny” print in the reading nook of the same area. 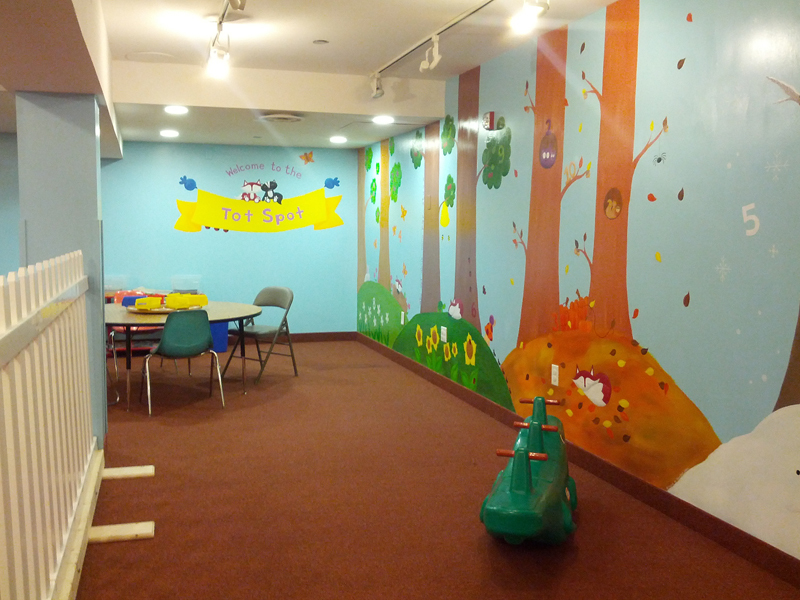 After all my work was done, it was so exciting to see Ainslie’s vision come to life. 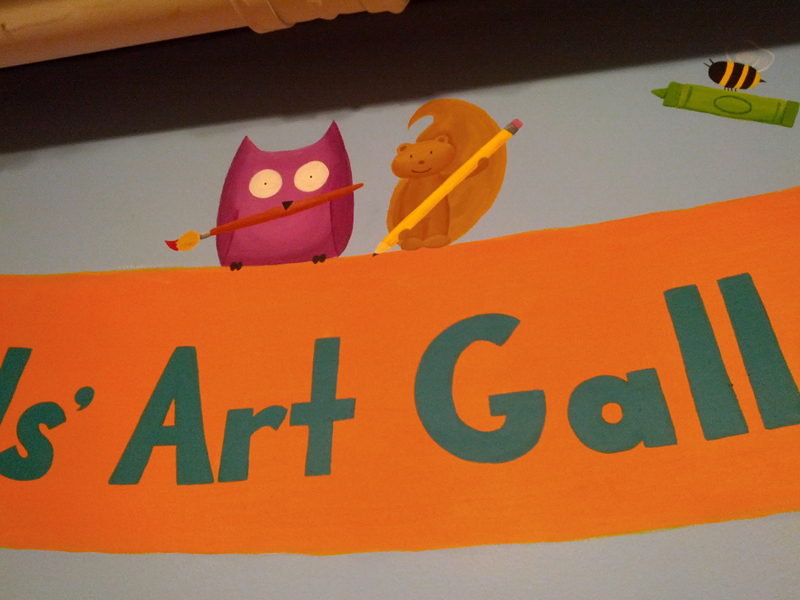 She added a white picket fence in front of my mural, flower pots, colored aprons in the open studio, and so much more.